Starting this month we will feature a photo of Sacrifice Soldiers holding it down in the field. This month soldier is none other than Vegas Veterano Brian Henson. 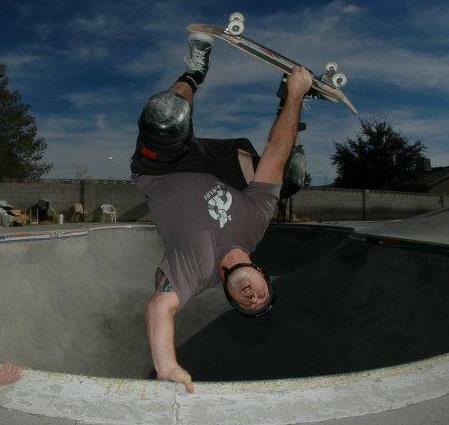 Inverts ala Wagon Wheel. Send us a photo of you riding a Sacrifice Deck and get in on the action!! 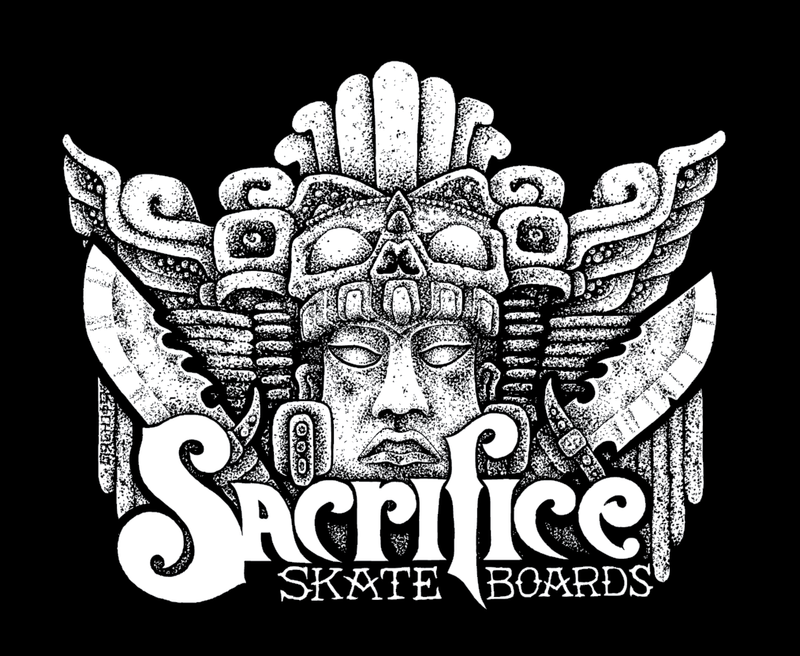 Sacrifice Veterano Richard Sanchez takes 1st at the Old Man Jam at Pedlow Park. 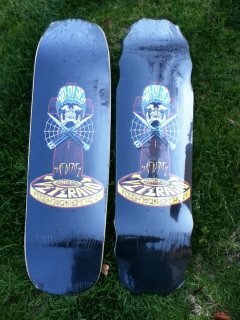 Sanchez Veterano Decks Are In!! 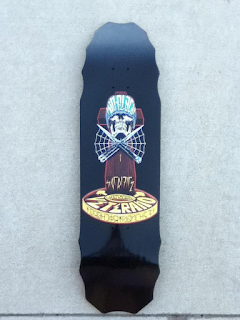 The long awaited Richard Sanchez decks are in and ready to ship. These are extremely limited and are going fast. Available in the custom "filero" shape 8.758x32, 15" wheel base. Also our pool shape 9x32, 15" wheel base. Drop us an email for pricing. 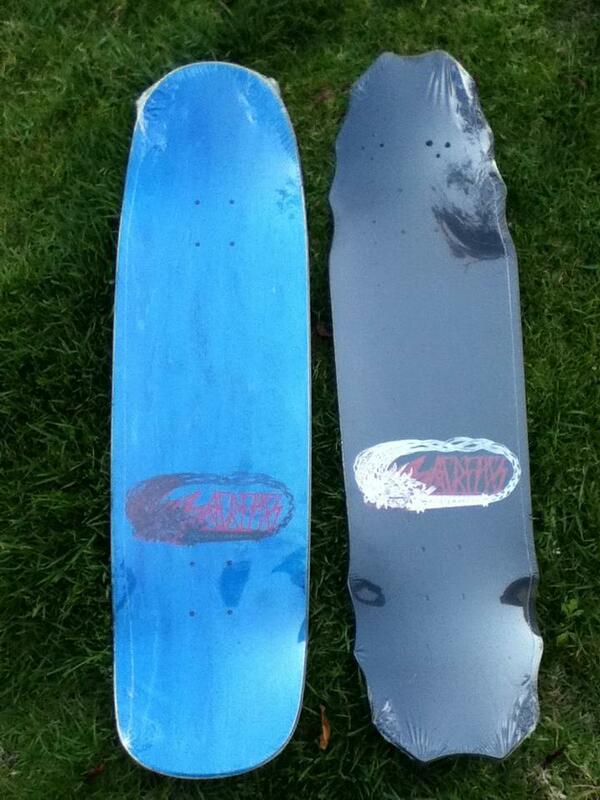 These boards have taken over 4 months to complete and are all shaped by hand. Buy or Die in 2012! !